Are you looking for a supplemental feed for your farm animals? 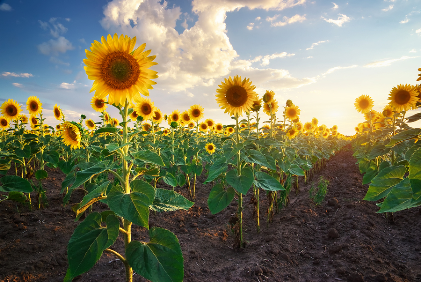 Our sunflower meal contains protein, fibre and nutritious oils that your livestock will enjoy. Our sunflower meal is fairly priced and ready for pick-up. Sunflower as a Feed Sunflower meal is the by-product of the oil extraction process. Oil is the majority value of sunflower seed and meal is considered a by-product. Sunflower meal is suitable for livestock feed, especially for ruminants. The high oil content sunflower meal is suitable for dairy as well. Most modern dairies supplement fat in feed rations for lactating cows. The cold-pressed sunflower meal is suitable as a fat supplement .